This delightful anthology is a timeless collection of poems chosen by Classic FM listeners. With humorous limericks, romantic sonnets, traditional and modern classics, this book is a true refelction of the greatest and best-loved verse. 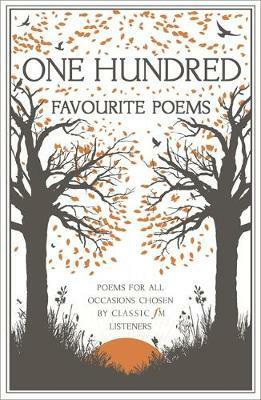 Discover poems for special occasions, as well as poems to suit any mood. Whether you're reading them for the first time or revisiting a classic, this is a selection to enchant, move and delight. Classic FM Favourite Poems is an essential collection for every bookshelf. Edward Lear, Sir John Betjeman, William Wordsworth, Robert Burns, William Shakespeare, Robert Frost, Pam Ayres, Hilaire Belloc, John Donne, Cole Porter, Jenny Joseph, Lord Byron. Which poem has topped the list? Will it be Keats or Yeats, Jenny Joseph or Oscar Wilde? Find out how your favourite poem has rated. Classic FM is one of the UK's most popular commercial radio stations.